This is a Configurable Controller. 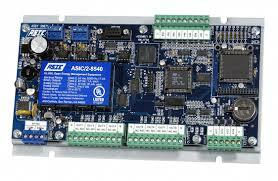 Features include direct dial-out, extensive I/O and USB connection. 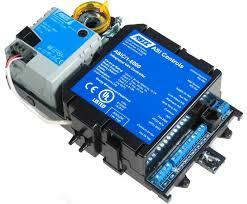 Suitable for control of large equipment such as Chillers, Chilled Water Pumps and Cooling Towers. Also suitable for SCADA application. 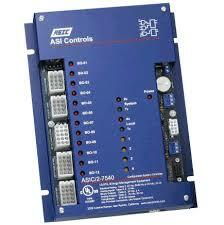 Applications include standalone control or networked control of larger facilities. Similar to ASIC/2-7540 but with lower I/O count. Features include direct dial-out and Ethernet RJ45 connection. Suitable for automation of small facilities such as Air Handling Units. Also suitable for SCADA application. 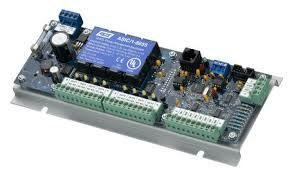 This VAV controller is suitable for pressure-independent or pressure-dependant application with fan powered boxes. Include capabilities for lighting control, variable user adjust, trending, after-hours, override, auto-changeover and other standard VAV features. Onboard calibrated airflow sensor for pressure-independent models.